Laura Brown poses for a portrait outside Boston Latin School. 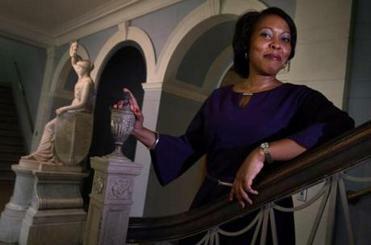 As a black teenager in the 1980s, Charmane Higgins treasured her experience at Boston Latin School. She was active in student government and wrote for the school newspaper. Teachers were always in her corner, including one who steered her to Wellesley College. And, she said recently, choosing Wellesley was the best decision of her life. 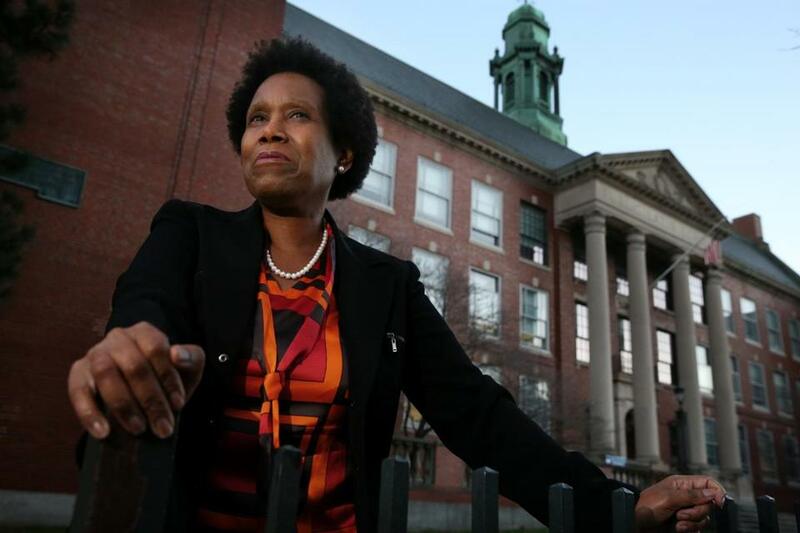 “It felt like love,” said Higgins of the support she received at Boston Latin. 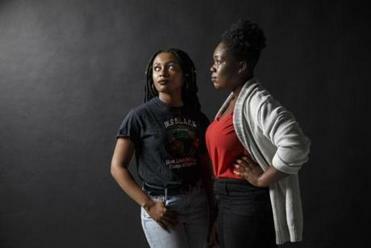 Since a video by two recent Boston Latin graduates triggered a racial debate and a federal civil rights investigation earlier this year, black alumni such as Higgins and Brown have stepped forward to chronicle their experiences as part of a new group formed to support the school’s current black students. The group’s goal is to convey to the younger generation that they are not alone. The student-activists shook up Boston Latin and put race relations back on Boston’s list of priorities. 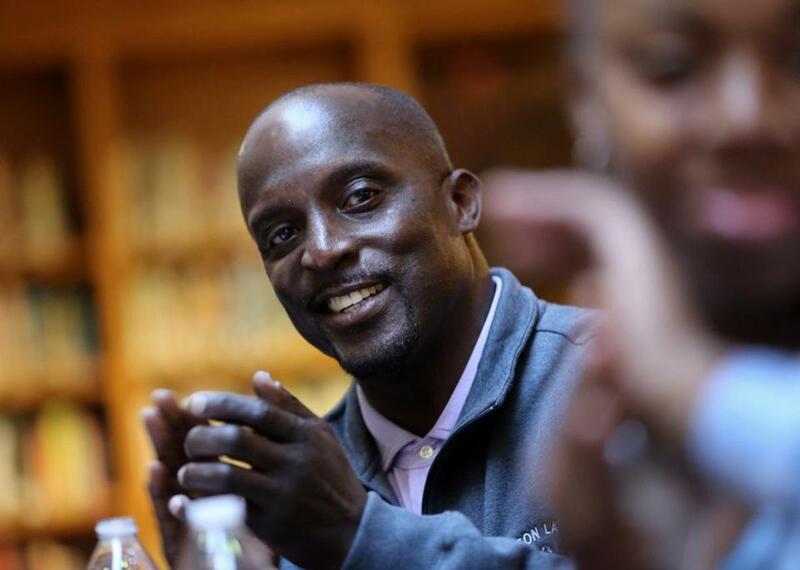 The 30-member Black Alumni Advisory Council, which had been quietly meeting since summer, has started to go public with its outreach to the Boston Latin community. The group was created out of frustration when members believed neither the school nor its alumni organization, Boston Latin School Association, responded quickly or sufficiently to the crisis, some organizers said. The council wants to be a refuge for students bringing their racial issues forward. Higgins, who chairs the alumni association’s board, said that blacks who attended Boston Latin through the decades were quietly trying to get the facts, while also striving to acknowledge the concerns raised by the students in the video. Magda Hernandez, a 1986 graduate whose 12-year-old son attends the school, said she felt strongly that the students’ racial concerns had to be addressed. But she also had attended the high school with former headmaster Lynne Mooney Teta and said she was confident that Teta was doing all she could to address the problems. The black alumni council, Hernandez said, hopes to create more formal channels to reach and mentor students. The black alumni council is still evolving, but its aim is to respond quickly to racial distress at the school, help improve black enrollment, and be a bridge between black students and the faculty and administration. Despite their varying experiences at the school, members also want to share their pride in Boston Latin’s classical education. The council held its first meeting with students on a Saturday last month in the school’s cavernous library, where members had lunch and swapped Boston Latin stories with the step squad members who were in the building for a weekend rehearsal. A buzz filled the library. The video controversy had given way to new tensions on social media over the election of Donald Trump as president, some of the students said. In an interview before the mixer, Bell said the YouTube video on the school by Meggie Noel and Kylie Webster-Cazeau triggered long-buried memories among some black alumni. It put him back to the time he was in the eighth grade and, he said, a teacher called him the n-word. He didn’t tell anyone, he said, because he thought no one would believe him. That includes Prince Charles Alexander, a Grammy-award-winning Berklee College of Music professor who returned to Boston Latin after three decades of “self-imposed exile.” He had been part of the last all-boys class at the time of heightened racial strife over the school desegregation crisis. And it was rough. “At Boston Latin, I felt there were more mind games being played,’’ said Alexander, who graduated in 1975. A white student stuck gum in his afro, he recalled. He said he was punished for reacting to the incident and the other student was not. As president of the Black Student Association, he said, his demands for better treatment and “civility in the halls’’ were met with suspensions. Alexander said he wrote off the school after a message under his yearbook photo was changed to say something disparaging without his permission. He eventually returned to the school in 2010 to heal old wounds with the donation of 15 computers. He said he wanted to reconnect with the school for the sake of himself and, now, his 5-year-old twins, who he hopes will one day attend Boston Latin. On the other end of the spectrum of experiences, Nicole Dumas-Little’s journey at the school was paved with support. She was a social butterfly who was on the pep squad and the gospel choir. But as a seventh-grader, her grades plummeted. However one of the teachers refused to let her quit, she said. He took her to the headmaster and appealed to her mother: These things happen, he had said. Give her time. Six years later, she graduated and never forgot what her teacher and headmaster did. For Brown, the first black girl at the school, the healing is advancing. In her yearbook picture, her shoulders droop and her eyes seem sullen. It took her two decades to come back to the school, and when she did as a television producer on assignment, she did not tell anyone it was her alma mater. She returned on another occasion last year to help a student on her project on blacks in the school. And then in February, she fully embraced the school after accepting an award from BLS BLACK for her achievements.